How it works: Dream Big! 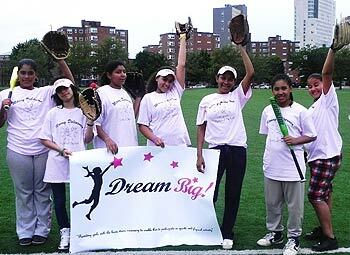 partners with community sports organizations, social-service organizations, schools and community health centers to identify and fulfill the basic needs of girls from economically disadvantaged communities, in elementary, junior high and high school in order to help them engage in organized sports, recreation and physical activities. 1. Equipment, athletic footwear, uniforms, sports attire, sports camp and college showcase scholarships, sports clinics and program fees. 2. 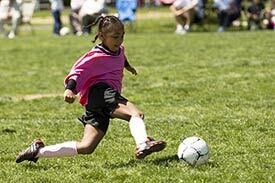 Games and equipment that encourage young girls to play and become physically active. Regular participation in physical activity during childhood and adolescence promotes the development of positive body image, confidence, self-esteem and has been shown to improve academic performance and career success. Physical activity also reduces a girl’s health risk for: Obesity, diabetes, heart disease, osteoporosis, breast cancer, depression, unintended teen pregnancy, stress, anxiety, a lack of self esteem among others.